Who should use digital form software? Why? Organizations that regularly collect data benefit from digital form software. These organizations might collect data internally from employees or externally from customers. Regardless of the data collection purpose, businesses are shifting towards digital form software since the smartphone boom. What are some of the key reasons behind the transition? Real time data. Firstly, businesses want to get real time data. In the past, there was a time lag for data collection because people needed to manually submit and enter forms. However, with digital form technology, businesses can collect information as soon as someone submits a form on their smartphone. Data security. Secondly, digital forms improve data security. Digital forms validate data by including checks such as required fields and managerial approvals. Easier record-keeping. Thirdly, digital forms improve record-keeping. Digital form software digitally stores records and allow users to search records easily. What are some the highlights of Zendu Forms? Zendu Forms captures all three best practices in digital form software. It provides real time data, includes data security, and simplifies record-keeping. Zendu Forms has a drag-and-drop form builder. In addition to being easy-to-use, our engineers included diverse data entry options such as text boxes, check boxes, rankings, audio uploads, and video uploads. 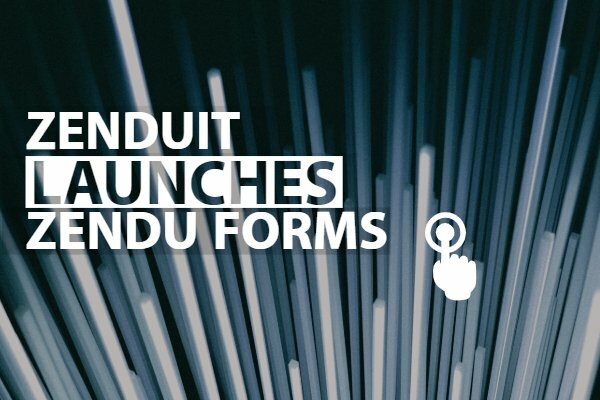 Zendu Forms retains completed forms for easy future access. Once a form is submitted, Zendu Forms stores it in an archive. At any time, users can go into their portal and find submissions by name, time, or customer. Zendu Forms has data security options. Zendu Forms includes several data security options for reducing form error and reducing form fraud. Firstly, Zendu Forms has an option for management approval. This means that a manager has a chance to review and approve all form submissions, thus cutting down on incorrectly completed forms. Secondly, Zendu Forms has an option for location approval. This means that employees can only complete forms in designated areas. Hence, Zendu Forms reduces form fraud by ensuring an employee is on a job site when completing a form. Zendu Forms has a handy management portal. Zendu Forms includes critical management items such as Forms Completed, Forms Needing Approval, and Forms Needing Assignment on its dashboard. The dashboard is handy because it increases visibility around form completion. Contact us to learn more about starting Zendu Forms in your business.